José Mangin started his radio assault in Arizona as Metal Director of the U of A’s college radio station in Tucson. As a graduate student in Pharmacy over in Memphis, Mangin landed a killer gig in radio, and ended up choosing a life of rock ‘n roll over medicine. In 2000 José moved to NYC and landed his dream job over at SIRIUS-XM. Throughout the years Mangin helped to revolutionize rock radio, and has lined up some impressive awards and praise for his efforts, including being name checked by Metallica’s James Hetfield in Rolling Stone magazine! 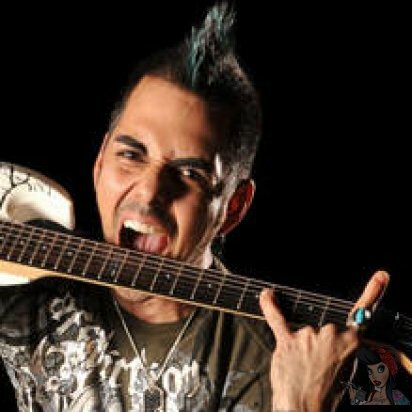 Currently, José programs Liquid Metal and Hair Nation, can be heard rockin’ on-air weekdays on Liquid Metal, hosts a nationally syndicated weekly TV show called LatiNation, and is a father of two “horn throwing” metal chicks. Raised since birth on heavy music, Mangin lives his dream 24/7 at SIRIUS-XM, and is stoked to be bringing this music to the masses. Jose has two full sleeves filled with black and grey ink. So many designs working together that is hard to label any just appreciate it all.